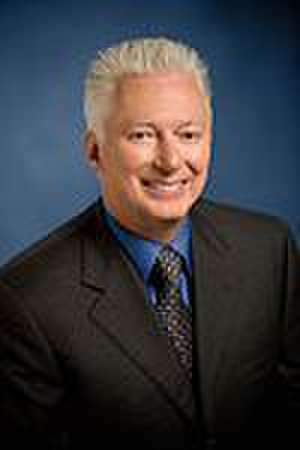 Alan George "A. G." Lafley (born June 13, 1947) is an American businessman who led consumer goods maker Procter & Gamble (P&G) for two separate stints, from 2000 to 2010 and again from 2013 to 2015, during which he served as chairman, president and CEO. In 2015, he stepped down as CEO to become executive chairman of P&G, eventually retiring in June 2016. As CEO, Lafley was called "one of the most lauded CEOs in history" and is credited with revitalizing P&G under the mantra “Consumer is Boss,” with a focus on billion dollar brands like Crest, Tide, and Pampers. But he also brought in several new brands, like Swiffer and Febreze, by merging P&G’s internal resources with outside “open” innovation, referred to as Connect + Develop. Prior to rejoining P&G in 2013, Lafley consulted on business and innovation strategy, advising on CEO succession and executive leadership development, and coaching experienced, new, and potential CEOs.